Welcome to Hiking Gear Lab and with great pleasure thanks for visiting our site. www.hikinggearlab.com is very glad to present our customers with the quality reviews on camping and hiking gears with its most up-to-date information. We are also 100% positive nature would be a better choice to spent. Twenty or thirty minutes on our platform can save you hundreds of dollars on your next hiking gear purchase. Actually, we love outdoor camping and share the incredible stories with our friends and fellow riders. This will serve you to know more about Hiking Gear Lab. We are a team of hiking and camping enthusiasts here working to serve you better by publishing a comprehensive guide on Buying Camping and Hiking Gear. Hiking Gear Lab is our digital platform to share the stories and inspire more people towards camping/ hiking. When we were new to hiking equipment and searching for the detail configurations for any hiking equipment and its accessories, we found it’s hard. So, we made our mind when we have enough experience, we will take any initiative that will help fellow riders to get the exact information over the Internet. As an experienced team our plan were to provide our opinions, suggestions, reviews and ratings for others like us who are still suffering for some valuable information regarding hiking/camping. The time finally come in July 2016, we thought to share our suggestion and reviews for the hiking community. That’s how www.hikinggearlab.com started its’ journey. Our vision with this incredible digital platform is to share up to date information on hiking and camping including gear used for hiking. In the meantime, we are dedicated to do research and publish unbiased reviews on hiking equipment. From here on, we will update our site with latest camping gears available in the market. In fact, we are here to differentiate between good and bad. The Hiking Gear Lab‘s goal is unique: a one and best platform to choose the best hiking equipment like hiking backpack, hiking boots, camping tents etc.. We as a team of experts feel the world’s best hiking product reviews are the one that helps one customer to select the right products for the customer’s satisfaction throughout their hiking as per the planned trip. How Do We Do Here? As a matter of fact, we always keep in mind each person’s requirements are unique. Our aim is to help you find the best camping and hiking gear that support you. Moreover, while you are away from home and you are with nature your gear should be best. We commit to bring our visitors with best and latest reviews of the best camping backpacks. We have covered and we are very proud that we are serving our customers at the best. As a team of professionals, we still been looking to improve and find more interesting useful reviews to further serve our readers the best. A detailed research and practical test of our team in the field only could help us to reach you on this platform. It is our tough method of comparing and contrasting through objective tests pioneered by various consumers that we aim to bring hiking backpack enthusiasts like you to this platform. Of course, product reviews of best hiking gear are one of the biggest content types on our site. In fact, our purpose is to bring a quick selection of your camping and hiking gear. No doubt, this selection will be according to customer’s specific requirement, interest, locality and budget. Our prime attempt is to bring forward reliable product guide. Actually, this guide fulfills your nature camping experience with your best hiking equipment as per your requirement. We publish engaging content to ease your camping need. In the meantime, we recommend best valued and popular camping and hiking gears from the online marketplace. We get a small portion of the amount you spend to buy the product. Well, really interesting question apart. You won’t get any camping and hiking gear here. I’m suggesting you for best hiking backpack model and camping accessories that have best reviews. On other hands, we will help you to find the discount for the camping equipment. Our special product review table will help you to compare and choose the right camping and hiking products of your dream. We are also providing a comparison between different camping and hiking gear in the market. So it will be easy for you to choose your affordable accessories and camping backpack model. 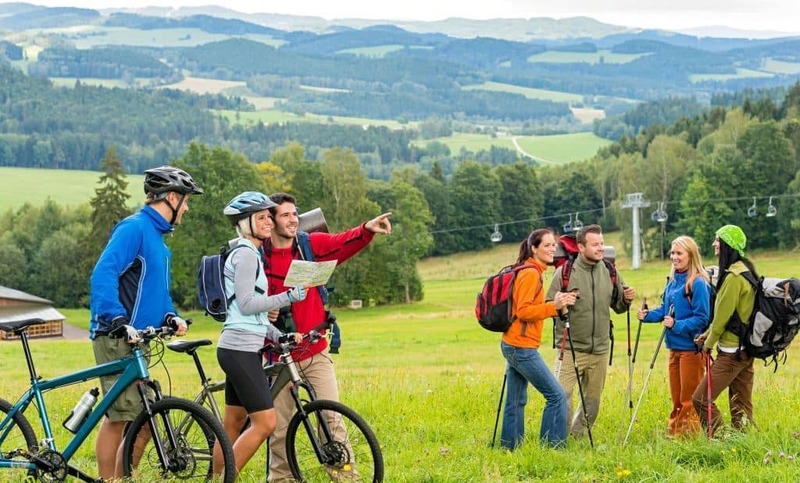 Here you can easily get information how you can manage a camping/ hiking tour. Do’s and Don’ts. With great effort and pleasure, we are always with you. This site is out of our full-time effort and further, we rely on the support of readers. If you wish to express what you experience here, please support our team effort and help us continue producing Hiking Gear Reviews by making a donation using the CONTACT button at the top right. Above all, we always welcome your support and committed to giving the best reviews in the world. We always appreciate hearing from readers. Finally, we wish a wonderful outdoor nature experience for all of you with your best camping backpacks and hiking gears. If you have any query or question, please don’t hesitate to contact us. Feel free to email us using this contact page. We reply to every single email and try our level best to help you on your camping/hiking issues. You can also get the update reviews and ideas on camping and hiking gears by following us on Facebook, Twitter, Goo​​gle+ and Pinterest. for sites to earn advertising fees by advertising and linking to amazon (.com, .co.uk, .ca etc) and any other website that may be affiliated with Amazon Service LLC Associates Program.